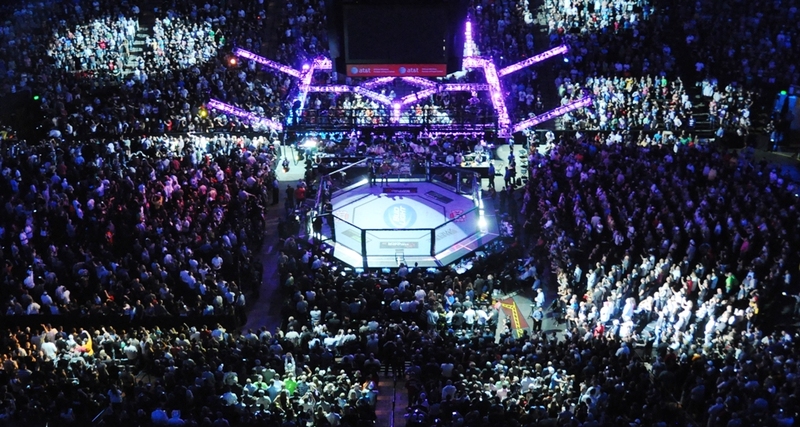 After stops in Malaysia, the Philippines and Singapore, ONE Championship heads to China for the first time in 2015. The ONE Championship 28 card isn’t quite as stacked as some of ONE’s previous offerings, but it does feature four-man, one-night tournaments in the flyweight and featherweight divisions and a couple of intriguing prospects in the top-billed fights. The card is headlined by featherweights Timofey Nastyukhin and Yusuke Kawanago. Nastyukhin lost his pro debut to Magomedsaigi Guseinov in 2010, but he has gone undefeated in his subsequent eight appearances. 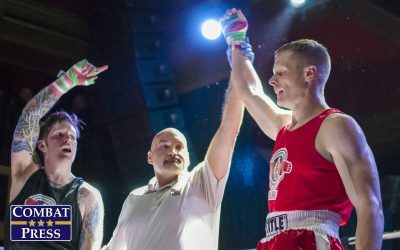 He toiled on the regional scene for seven of those victories, including two sub-minute knockouts and two sub-minute submissions. He’s been a quick finisher in general, with none of his wins requiring more than four minutes of work. His lone defeat came in a fight that lasted nearly six minutes. His eighth victory came in his ONE Championship debut when he destroyed Filipino favorite Eduard Folayang with a flying knee and soccer kicks in just over three minutes. 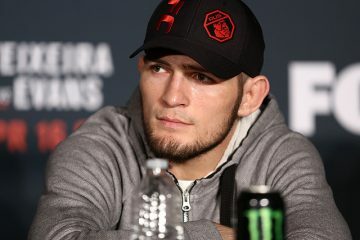 The 25-year-old fights out of Russia Top Team and carries a balanced record of four wins via submission and four victories by way of strikes. He is a pankration champion in Russia. Kawanago is a veteran of the Japanese circuit, where he debuted in 2004. He won 10 of his first 11 fights, including eight victories under the Pancrase banner. “Bancho” ran into rough patch after that stretch and emerged with two losses and a draw over his next three contests. 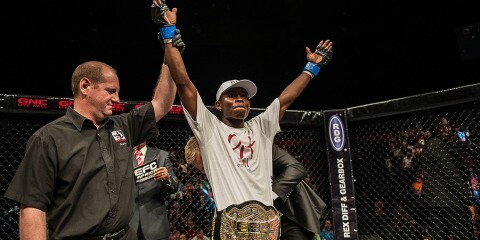 He righted the ship with three wins in a row and captured the Legend FC featherweight crown. 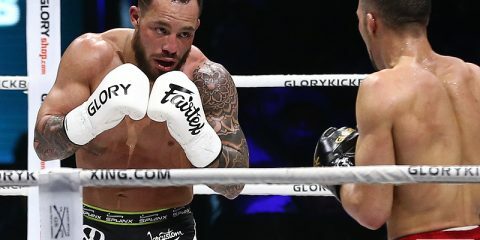 However, he stumbled again when he fought to a majority draw with Hiroyuki Oshiro and, in his most recent affair, suffered a 28-second knockout loss to Rob Lisita in a rematch. The 32-year-old is primarily a striker. He has won four bouts by way of strikes and one fight via submission. Twelve of his 19 fights have gone the distance. Kawanago is a grinder who loves to stand and bang. Until recently, his lack of knockout losses stood out as a reason to believe he could take fellow strikers the distance. Lisita ended any such notion when he obliterated the Japanese fighter. Now, Kawanago’s chin is a question mark in a stand-up battle. That’s horrible news for the veteran, too. He’s facing a very successful finisher who doesn’t waste a lot of time. Nastyukhin’s destruction of Folayang was actually a long day of work for the Russian. 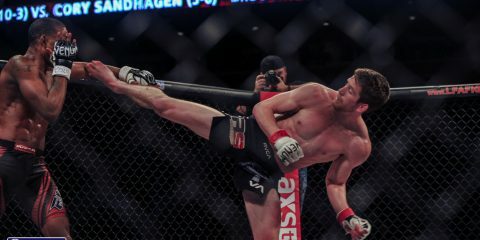 Nastyukhin has scored a 33-second rear-naked choke submission, a 46-second triangle choke submission, a 20-second knockout and a 54-second knockout. The duration of this bout will probably determine who emerges as the winner. If Kawanago can weather the early storm and take this fight into deep waters, he could swing the tide in his favor. If he can’t, he’ll be submitted or knocked into next week within just a few ticks of the clock. 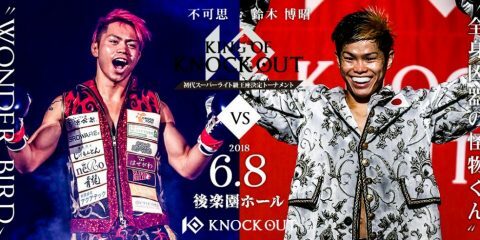 Kawanago was an easy out for Lisita, and he’s likely to be the same for Nastyukhin. 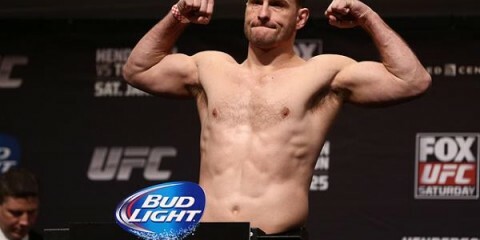 The Russian will score an early knockout to extend his winning streak to nine fights. 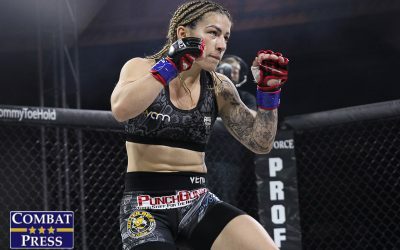 Face to Face Fighting Championship may not have quite the same name recognition as some of Brazil’s more prominent regional promotions, but the company has gathered quite a few prospects for its 12th offering. While a welterweight title tilt between Marcio Santos and Guilherme Vasconcelos takes top billing, it’s the light heavyweight showdown between undefeated prospect Rafael Viana and the once-defeated Luiz Henrique that stands out as perhaps the most interesting pairing on the card. Viana is a finisher fighting out of the Parana MMA/Rizzo RVT camp. “Gaucho” made his pro debut in 2011, but he didn’t get really active until 2014, a year in which he won three fights. 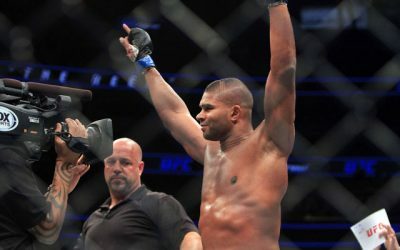 The 30-year-old has three submission wins and two victories by some form of knockout. In his most recent fight, Viana captured the vacant Shooto Brazil light heavyweight strap with a third-round submission of Alison Vicente. Henrique also debuted in 2011, but he went 4-1 with one no-contest by the end of 2012. 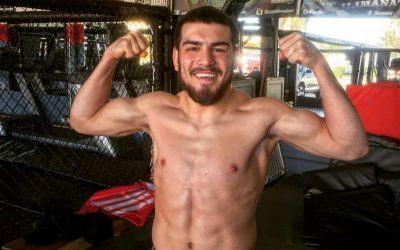 After going inactive through 2013, “KLB” returned in mid-2014 and added three victories to his resume while competing under the Watch Out Combat Show banner. 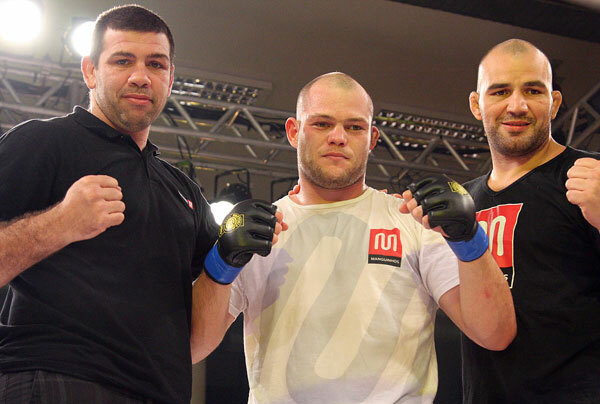 The Infight and Tata Fight Team product has won three fights via strikes and just one contest by way of submission. His lone defeat came in a 2012 fight against Sultan Aliev, who handed Henrique a TKO loss. Viana may not be the most technical striker, but he packs a lot of power in his punches and has no problem getting into a slugfest with his opponent. However, he also has very strong wrestling that can allow him to get his opponent to the mat and control the positioning. Henrique doesn’t have the same high finishing rate, and he also isn’t as effective on the mat. Viana is likely to dominate the ground game against Henrique, who has even gone the distance with some middling foes recently. Viana will keep his perfect record intact with a second-round submission finish. 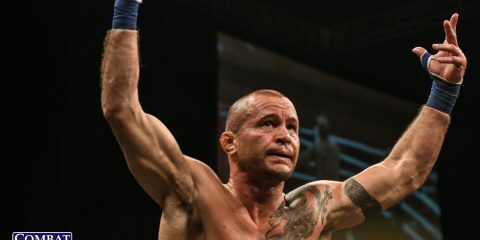 Jungle Fight continues its strong run as one of Brazil’s top promotions when it returns for its 78th event. 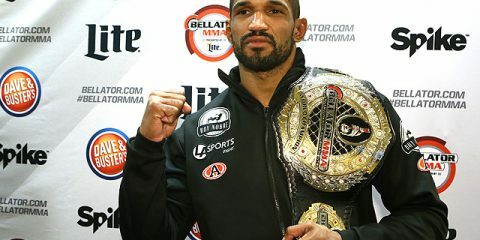 The lineup is topped by a pair of title bouts, including the welterweight championship affair between Bruno Lopes and challenger Alvaro Correa. The 22-year-old Lopes claimed the gold in his last outing, which took place at Jungle Fight 76. Lopes edged Jose Diaz on the scorecards to claim the victory and move his spotless record to 5-0. “Brunão” has stopped two opponents via strikes and one by way of submission. 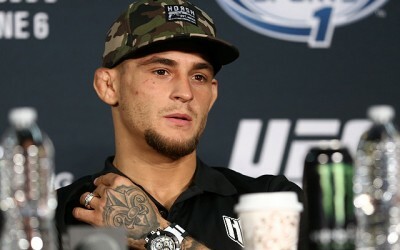 The 011 MMA Team fighter stands 6-foot-2 and will enjoy a three-inch height advantage over Correa. Correa, who hails from Paraguay, has been a very effective striker. All seven of his victories have come by TKO or knockout. He made his Jungle Fight debut at the same event where Lopes claimed the title. On that card, Correa stopped Arthur Ribas for a knockout finish in less than two minutes. 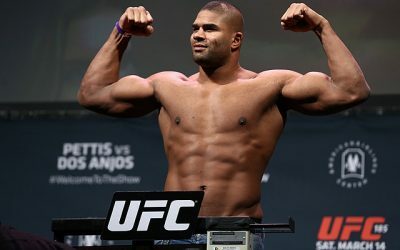 “The Hulk” trains out of Top Brother Paraguay and has only been fighting professionally since March 2014. He won his first three fights within one week. While a quick win looks impressive for Correa, his Jungle Fight debut wasn’t all smooth sailing. He went for a trip takedown and failed. The result was Ribas on top and quickly transitioning to mount. Ribas threatened with an armbar that Correa survived, thereby gaining superior position. Correa did display extremely overwhelming ground-and-pound from his opponent’s guard, going so far as to render Ribas unconscious. Correa’s win in his Jungle Fight debut required a lot of good fortune. 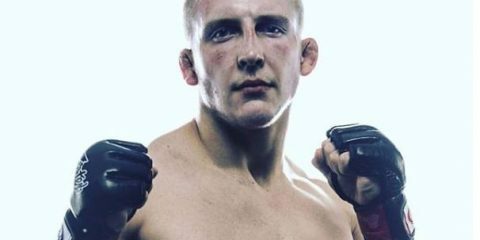 He might not be so lucky against Lopes, who is capable of gaining top position and maintaining control while hunting for submissions. Correa’s a tough out, as he demonstrated against Ribas, but a fighter can only get away with so many mistakes. Lopes has the grappling skills to capitalize on those mistakes. This is an excellent test for both men, but Correa’s tendency to get too aggressive will cost him. He can’t go for takedowns that aren’t there, and he can’t hope to escape submissions to gain better position. Lopes should be all over these miscues as he works for the submission finish. Correa might be able to survive the first few attempts, but he won’t last a full three rounds with the champ.